I have a bunch of Penzoil Ultra Platinum 0W-40 Full Synthetic left over from a truck that I got rid of and i was wondering if I would be able to use this oil in my JetSki? If not any recommendation other than the Kawasaki branded oil? I have a 2017 kawasaki Teryx.. probably close to the same engine. 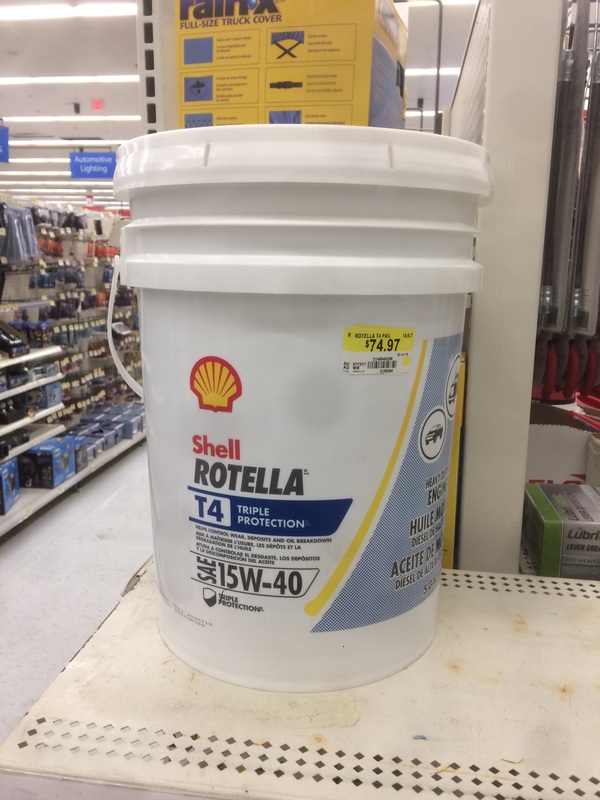 Rotella 15w40 has all the specs you need and guys are getting 10s of thousands of miles with no issues. Perhaps you can mix this with the rotella and come up with a 10w40. its the 1400cc engine, same as in the motorcycles i believe. So mix Rotella t6 and this 1/2 and 1/2 and that would work? How about amsoil motorcycle MCF 10w40 or DB50 10w50? 15w40 T4 and mix one quart of yours in each time would be a good brew. Thank you all! I'll grab some rotella an mix it in! Just looking for a use for this expensive oil that I no longer need! Last edited by Bluestream; 03/31/18 11:48 AM. It's a 1500cc engine. And it's a peach of a motor! Run the 0w40 without mixing it. I have had Kawasaki jetskis with the 1500 for many years and I run Mobil 0w40, PP 0w40, Mobil turbo truck 5w40, Castrol 5w40 - they all are fine. I run these hard and trade them in every 5 years and they purr like the day I bought them at the end. how many hours are on the Jet Ski? Sorry i haven't logged in for a little while. Yes the oil filter looks a little difficult to get to, I haven't changed it yet and I don't think i will on the first oil change. I'll probably try putting a plastic bag around it. I just bought a place at the lake and i've been moving everything out there, I plan on changing the oil before taking it out for the first time this season. It only has 21 hours on it but its been in the sump since new which is well over a year now and i'd feel better changing it. I don't really run it all that hard and always make sure its been running for 5-8 min before going wide open on it or anything. The maintenance procedure I'm most concerned about is lubing the bearings on the impeller, I haven't found anything online explaining how to do it and its already past the recommended time to do that....then again it doesn't stay in the water when not being used so it may not be as critical.